Thirsty Pilgrim: A Very Good Beer Guide to... Latvia. Atis Rektins is modest enough to avoid putting his name on a book, and then to question why I would even want to mention the book in the first place. 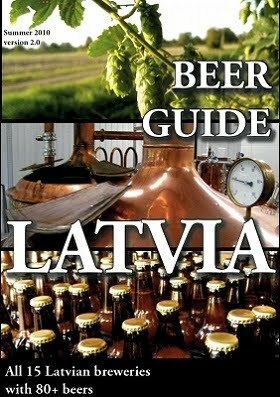 Have a look yourself at the Beer Guide Latvia. See why I wanted to mention it. You are looking at 79 pages of love. As in labor of. The PDF file is free for anyone to download. "I love good beer," Rektins writes, "however, I have noticed a complete absence of a detailed and up-to-date source of information regarding Latvian beers and breweries in English. I feel quite disappointed when I see tourists buying beers with the most colourful labels and presumably thinking that these would be the best representatives of the Latvian brewing tradition." See? He wrote this book for you. It's all here: The breweries and the beers. Historical context. Basic Latvian phrases and beer words. The annual national beer holiday (June 25). And useful honesty about his country's own beers. "It should also be mentioned in the beginning that it would be impossible to judge the current selection of Latvian beer entirely by the same standards as American or British craft beers," he writes. "Unfortunately many of the Latvian brews still have a long way to go. This is accompanied by almost extreme reluctance from the side of Latvian breweries to try brewing anything else than standard European pale and dark lagers." But it's not all doom and gloom. Far from it. A handful of smaller breweries started springing up in the 1990s. Some of the aforementioned lagers border on the exceptional. And, most of encouraging of all, there are other people like Atis devoted to the beer scene, looking abroad, and thinking, "Why not here?" 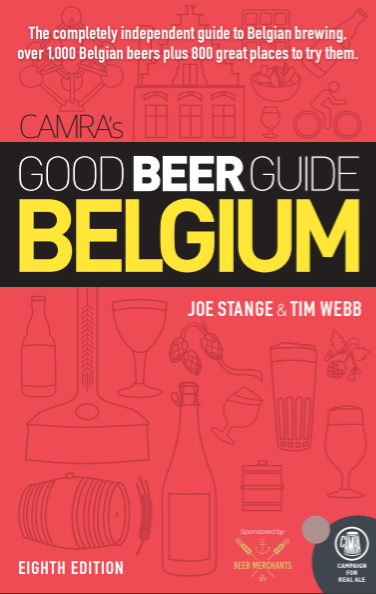 I'm coming around to the idea that every country or major city needs its own beer guide, even if it's only a few pages. And you know where it's needed most? I'll give you a hint. It's not the U.K. It's neither Belgium nor Germany. It's not the Czech Republic or the U.S.A. There are some really exciting beers around these days, mainly by small companies brewing new and exciting flavors. I hope this continues and small businesses continue to experiment. It is an exciting time for beer at the moment. It is a good guide. Now I know I could visit Latvia and have a good time.